Pasta Spaghetti With Tomato Sauce And Cheese Parmesan Served On Dark Plates On Stone Table Background. View From Above. Horizontal. Lizenzfreie Fotos, Bilder Und Stock Fotografie. Image 114631642. 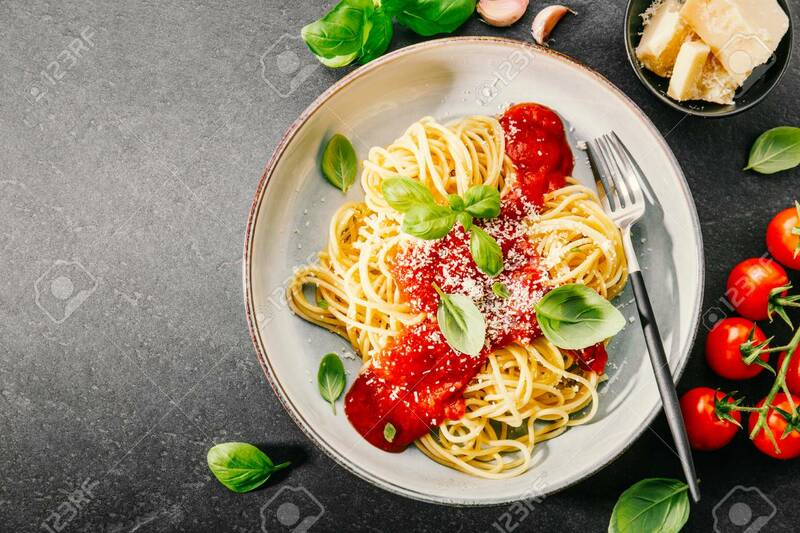 Standard-Bild - Pasta spaghetti with tomato sauce and cheese parmesan served on dark plates on stone table background. View from above. Horizontal. Pasta spaghetti with tomato sauce and cheese parmesan served on dark plates on stone table background. View from above. Horizontal.